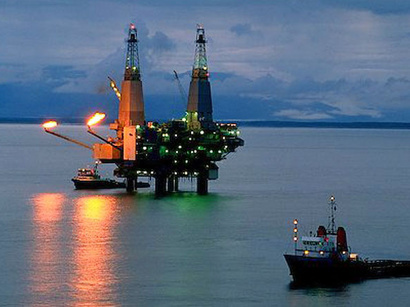 Azerbaijani operating company Salyan Oil, which is developing the Kursangi and Garabagli onshore oil fields in the country, plans to increase investments in 2018, a source in the country’s oil and gas market told Trend. The source said that the increase in investments will allow the operating company to pay more attention to recovering production at the block. “According to the approved budget, Salyan Oil plans to invest about $40 million in the development of Kursangi and Garabagli fields in 2018, which is significantly more than in the previous year,” the source noted. The main part of investments will be used for the major overhaul of existing wells, perforation work and the use of expensive new technologies. The main focus of the company will be on maintaining and increasing oil production at the fields, the source added. Salyan Oil produced about 162,000 tons of oil from Kursangi and Garabagli fields in 2017. Around 445 tons of oil per day is produced from Kursangi and Garabagli fields. The fields are located in Azerbaijan’s Salyan district, around 150 kilometers from Baku. Some experts believe that the remaining oil reserves in the contract area exceed 150 million tons. The contract for the development of Kursangi-Garabagli was signed in 1998 for a period of 25 years. Participants of Salyan Oil are the Azerbaijani state oil company SOCAR and China National Oil & Gas Exploration and Development.